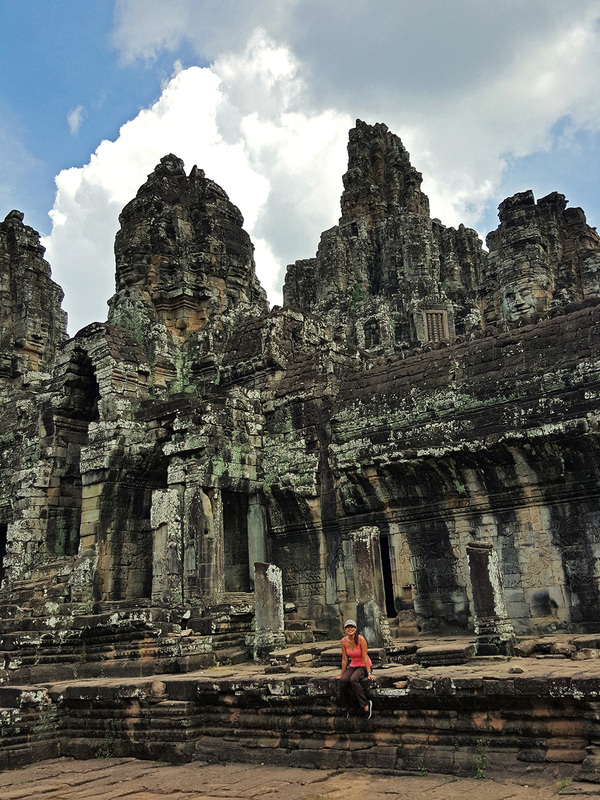 My main reason for visiting Siem Reap was the same as most of the tourists in the region, the stunning 9th century temples of Angkor Wat.The whole area was a mass of historical and archaeological sites. Pretty breathtaking scenery so that’s why I`ve added a few non foodie photos to this post. 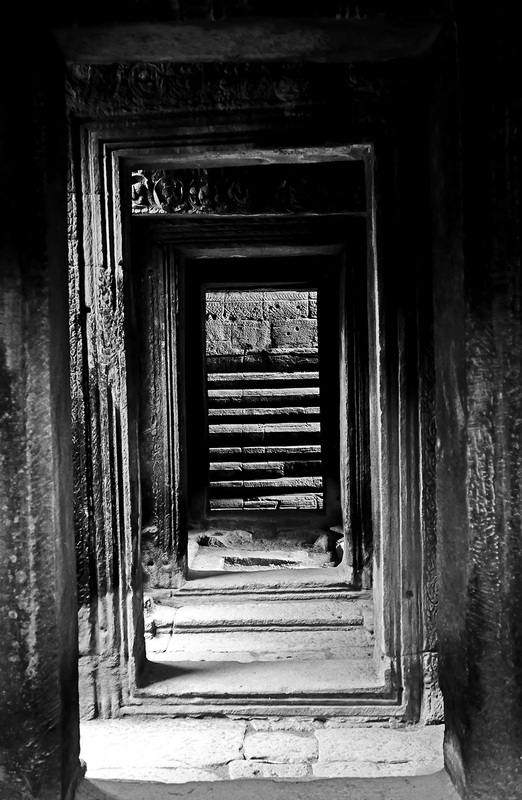 If the scenes look familiar then you`ve probably seen them before on Tomb Raider as it was filmed here in 2001. 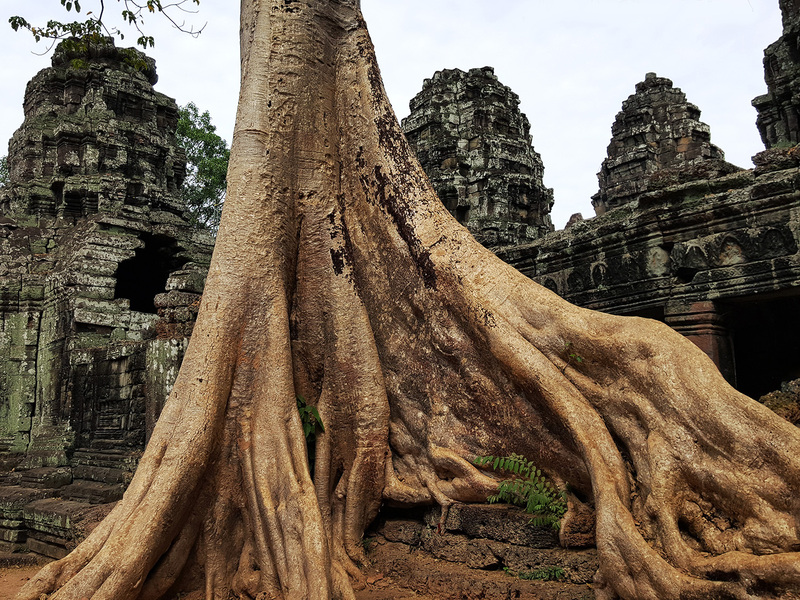 Another good reason to visit the area was obviously the Cambodian food.There`s restaurants everywhere in the city of Siem Reap. Some pretty decent ones and an awful lot of very average tourist traps. A quick Google search and up came Asia`s 50 best restaurants. Sitting at number 50 on the restaurant list was a place called “Wat Damnak” , infact it was the only restaurant in the whole of Cambodia to make the list. 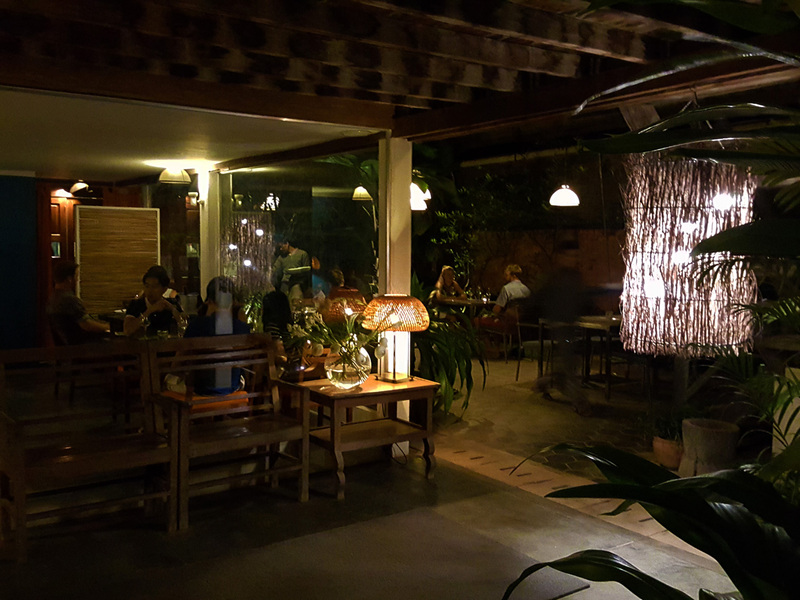 Wat Damnak is owned by French Chef Joannes Riviere , originally from Roanne in central France but resident in Cambodia for the last 12 years. Chef makes the most of the local area , Fish , plants and wild Cambodian ingredients from local farms and from around the province to create his unique style of Khmer cuisine. 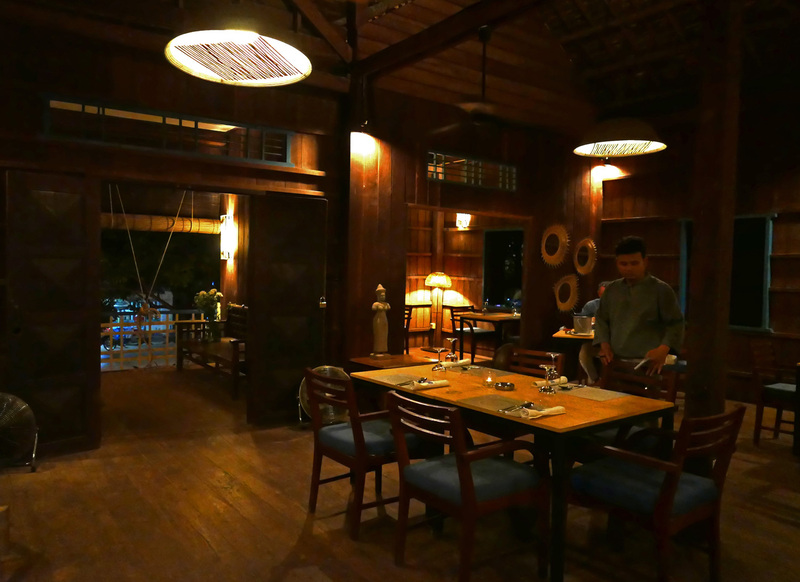 The style of the restaurant interior is typical Cambodian , traditional wood with local artwork and Khmer hand made products. It`s pretty dark inside and that’s why my photos didn’t turn out too well this time. One of the most impressive things here is the price. 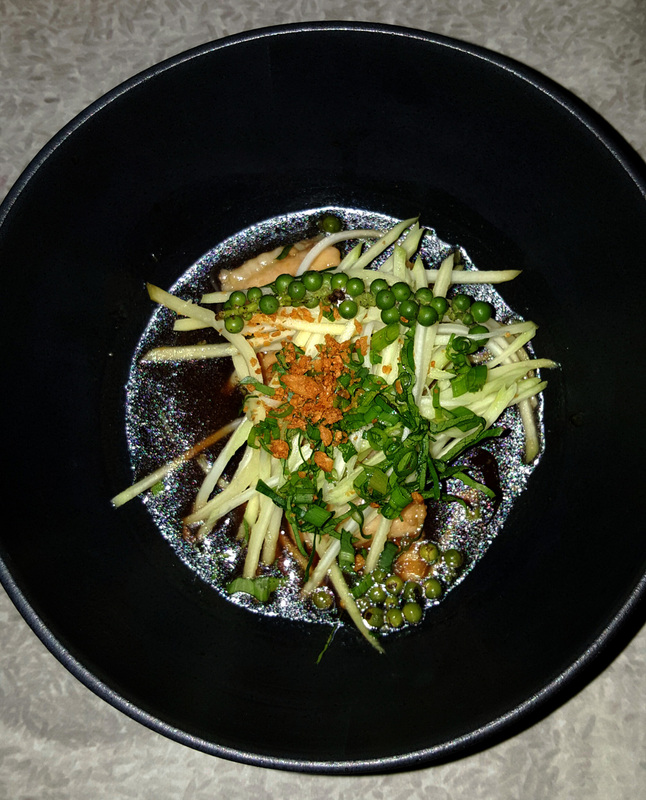 Chefs tasting menu costs £20 ($28) for 6 courses….WOW. 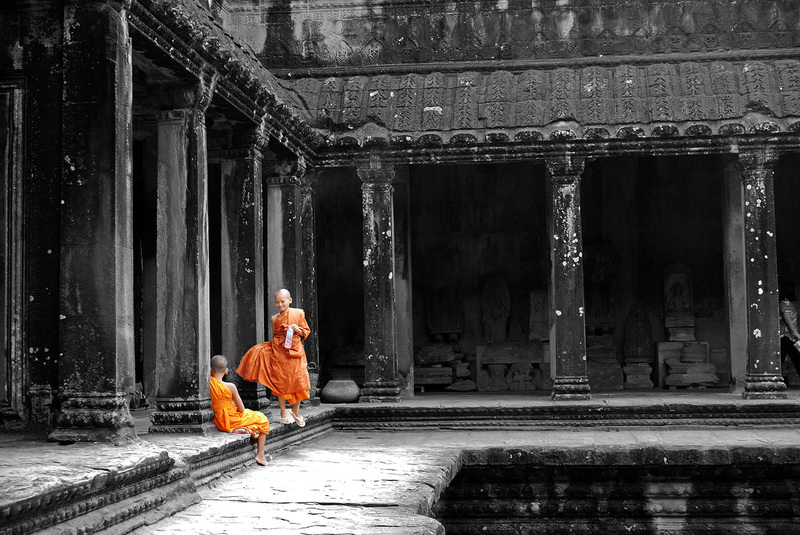 For the best restaurant in Cambodia , that`s impressive. 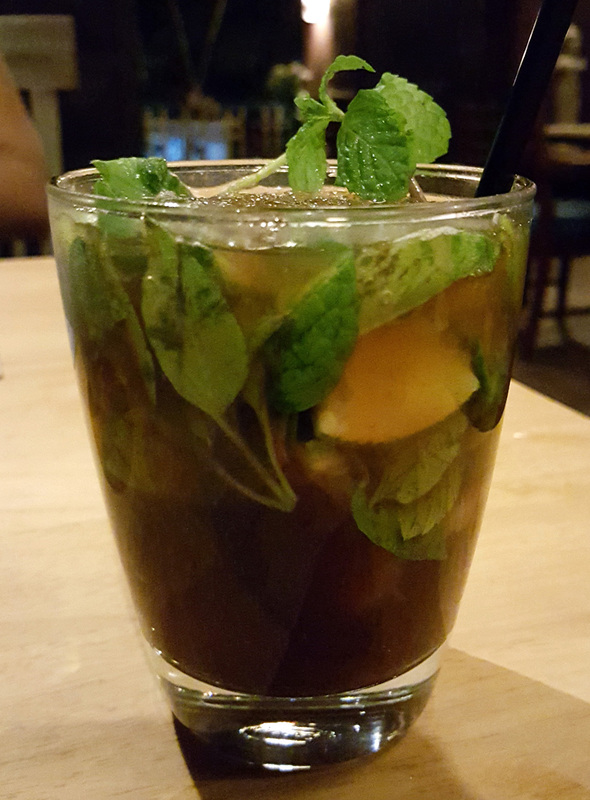 Kaffir Lime and Lemon Basil Mojito with Rum , Mint , Lime and Palm Sugar. 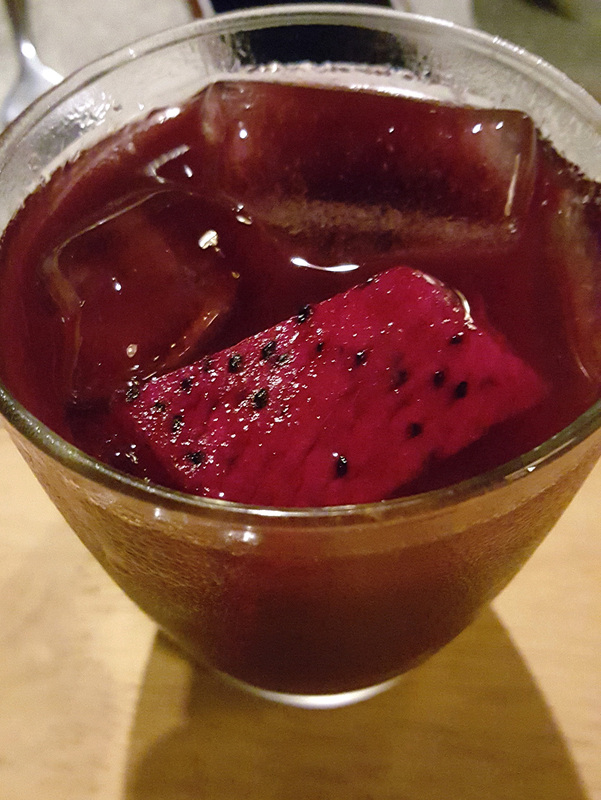 Purple Dragon fruit Sangria , Shiraz wine , Passion fruit and Phnom Kulen Vanilla. 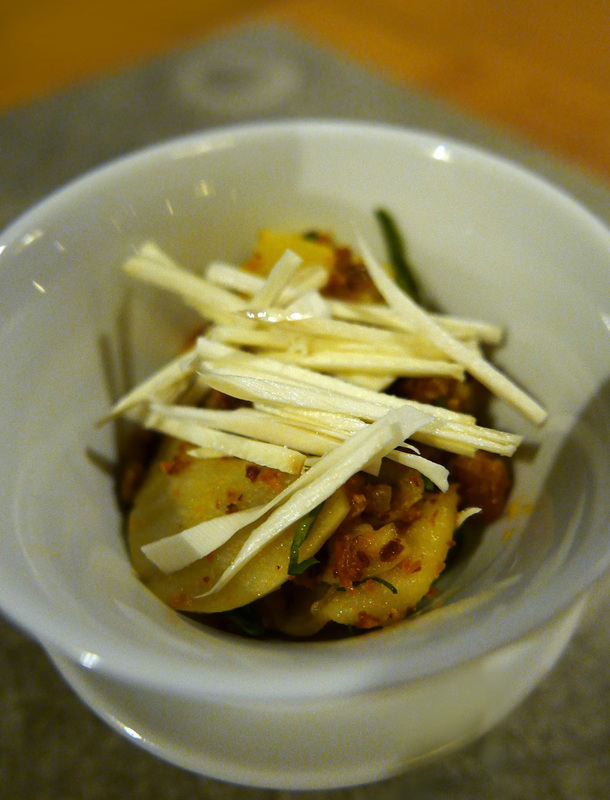 A little appetiser salad from Chef with Green Mango. 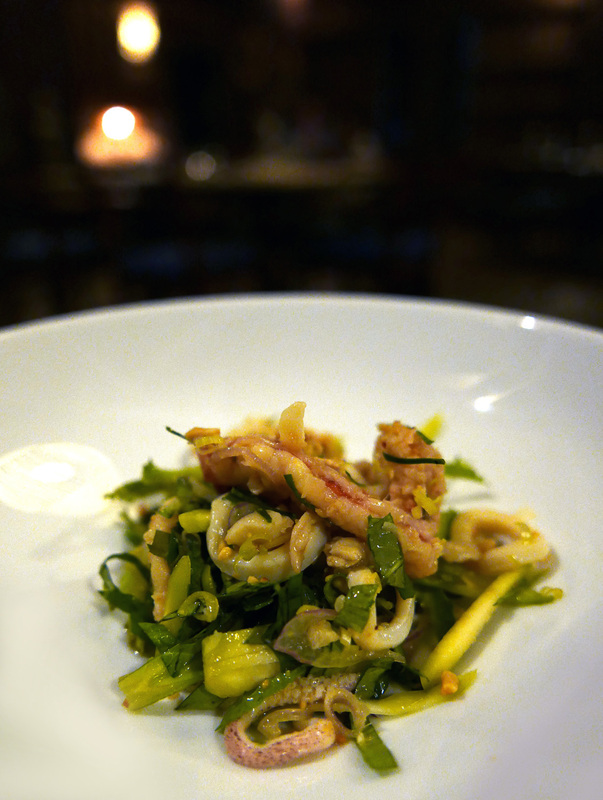 Marinated Seafood salad with Ambarella , Wing Beans , Herbs and Peanuts. 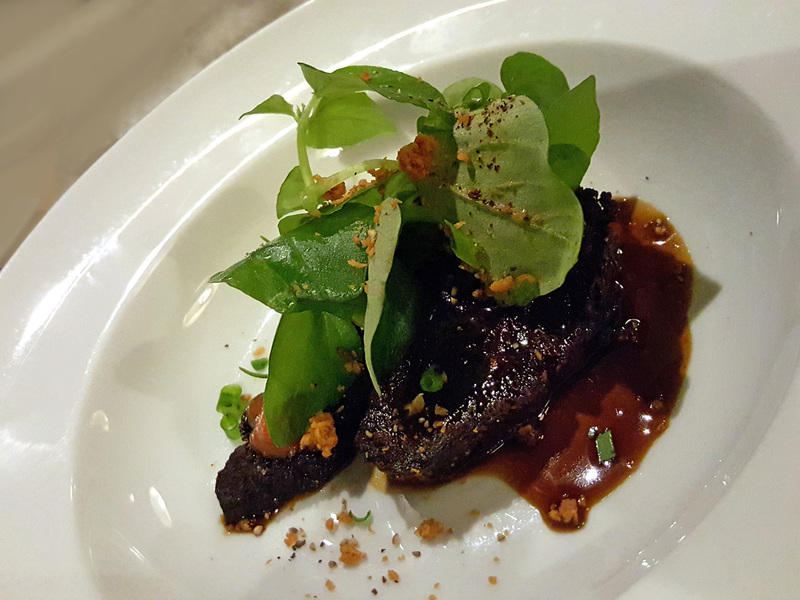 Slow cooked Beef cheek with shiny Cresson , fermented Tomatoes and home made Oyster sauce. 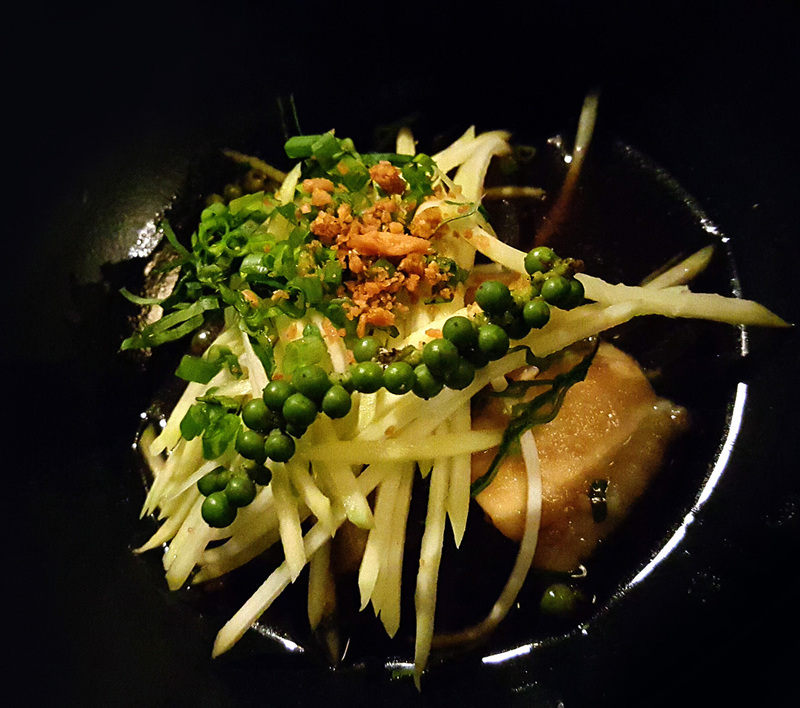 Poached Sanday fish with Cambodian giant Eggplant, Green Mango , Caramelised Palm sugar and fresh Green Pepper broth. Grilled baby Pork Ribs with preserved Soya Bean sauce , Fresh , steamed and Pickled Cabbage salad with Chinese Celery. A dessert inspired by the Cambodian schoolchildren , Coconut Caramel baguette with Pandan and Banana mousse. Sweet and sour fresh seasonal fruits with Chilli sugar. The meal was enjoyable , no complaints even though it wasn`t groundbreaking. The food at Wat Damnak was simple , well cooked and enjoyable. Service was very “straight” and serious with not many smiles.But at that amazing price then anyone heading to Siem Reap should definitely head over there to eat. A few of the sights around the area. 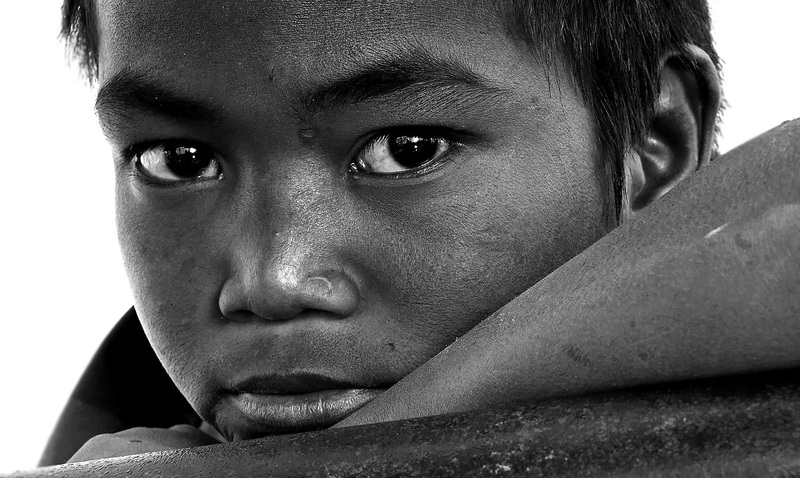 The weathered look of this young Cambodian boy as he tried every trick in the book to get loose change from the tourists. No excuses for language barriers as he spoke 5 languages extremely well. 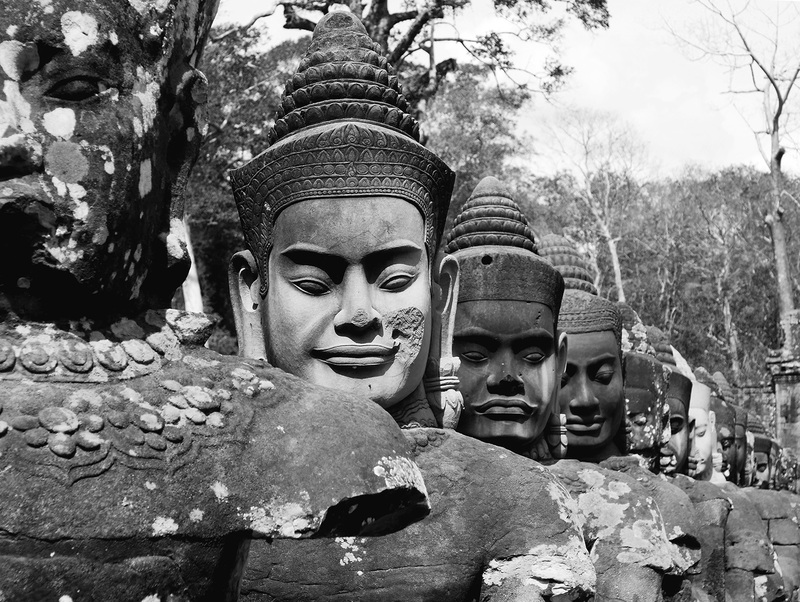 The 12th century Bayon Temple , the centrepiece of the ancient city of Angkor Thom. 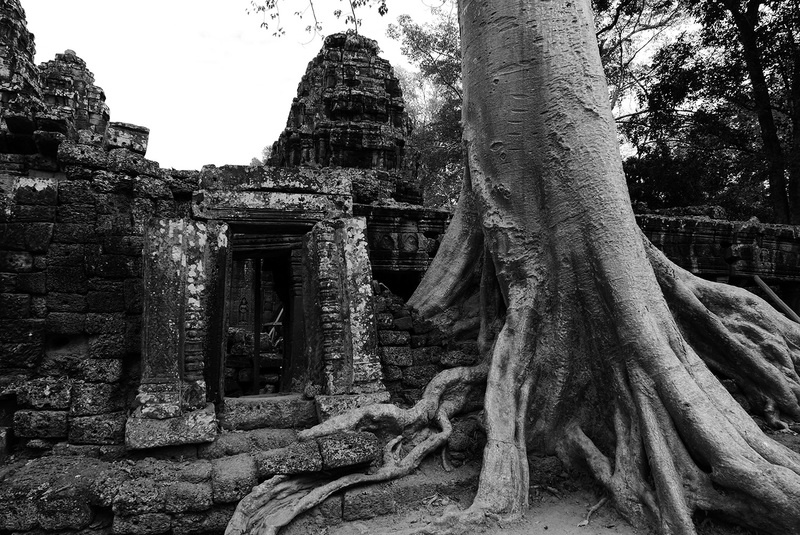 Ta Prohm – Bound by huge tree roots this 12th century Temple made the perfect magical location for the Tomb raider movie. 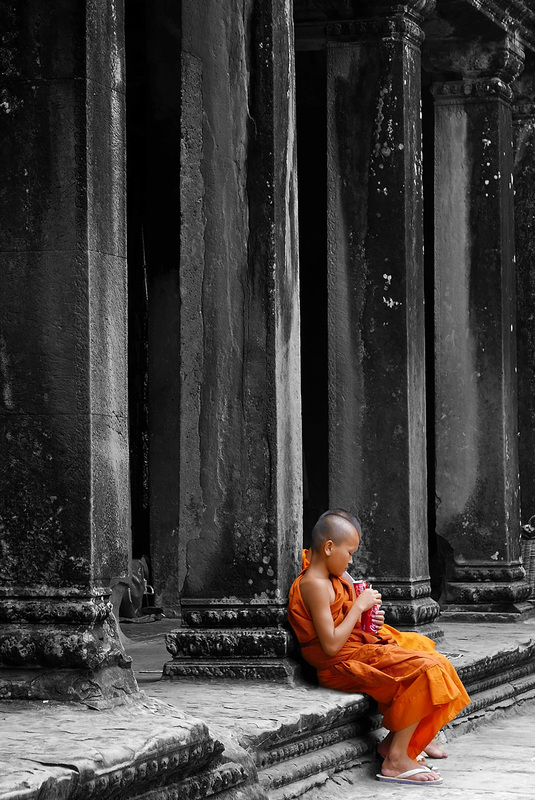 Previous Post Osha , Bangkok….One to watch. 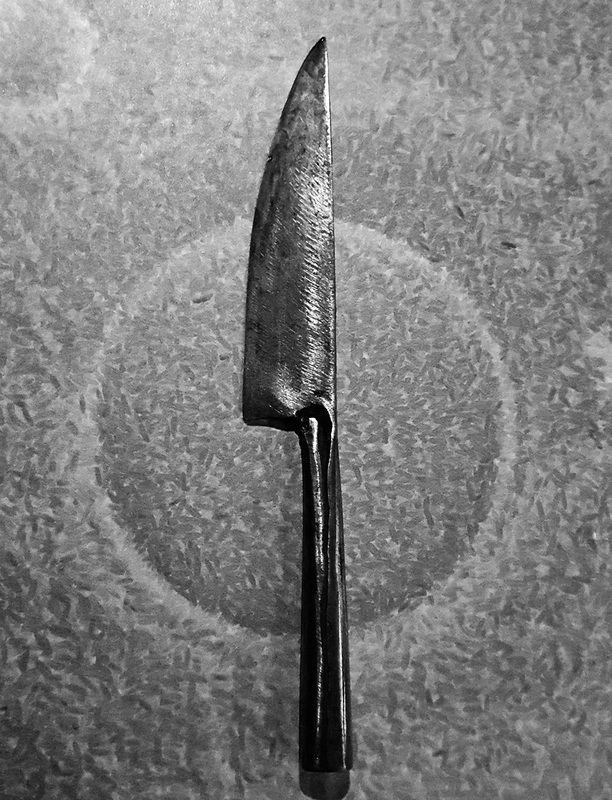 Next Post The Samling set their bar at top level.